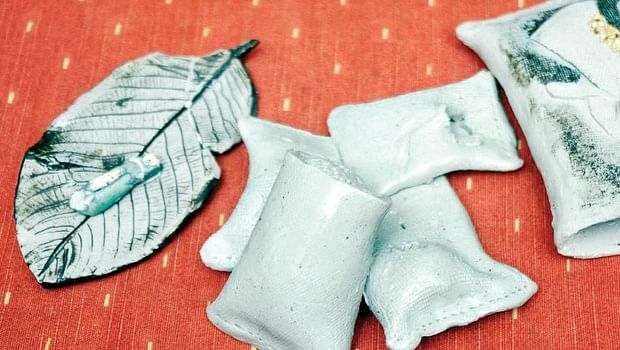 AHMEDABAD: The 'Swachh Bharat' campaign launched by Prime Minister Narendra Modi will have a positive impact on the Indian ceramic industry as the initiative is likely to generate demand for tiles and sanitary ware, according to an industry expert. "As the government is now stressing on clean India, having toilets and better sanitation, the Swachh Bharat mission will definitely have a positive impact on ceramic tiles and sanitary ware sector. We are expecting a huge demand for these products in coming years," ceramic industry expert and VDMA India's Managing Director Rajesh Nath told reporters on the sidelines of 'Indian Ceramics-2015' exhibition here. According to him, the ceramic sector in India saw a dip in growth last fiscal due to overall economic scenario and lesser than expected investment in construction sector. "Last year, there was not much development in the country. The GDP too fell below 5 per cent. We saw very less investment in the construction sector. This overall economic scenario also left its impact on tiles and sanitary ware sector," said Nath. "Against the average growth rate of almost 7 to 8 per cent in the past, this segment registered just 3 to 4 per cent growth last year," he said. However, he feels the industry will make a comeback in the 2015-16. "Now, the sentiments are positive, as the new government at the Centre is focusing on infrastructure sector, which will boost construction and eventually help ceramic sector. We expect to see the growth rate to touch 6 per cent in 2015-16," said Nath. A three-day ceramic expo 'Indain Ceramics-2015' began here today. Nearly 160 companies from across the world are taking part in the exhibition.